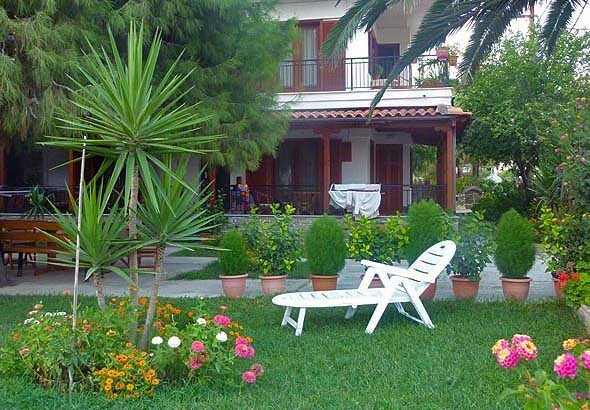 This is an apartment house located in Nikiti, just a few meters away from the sea. 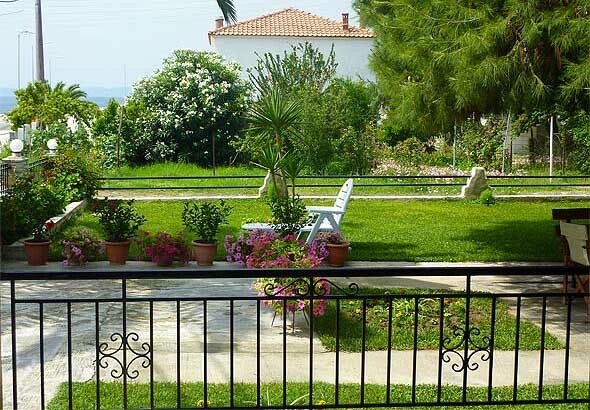 The location of the house is comfortably close to almost every place of interest in the area. 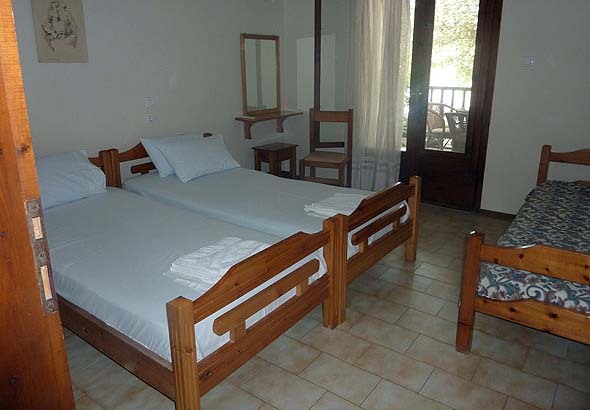 It offers spacious apartments which may accommodate from two up to five people. 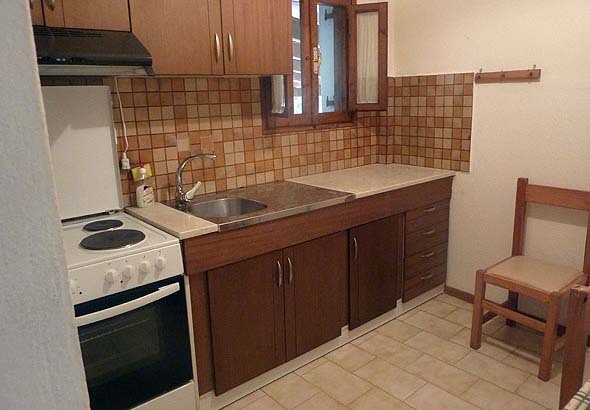 The apartments have either two or one room, a kitchen which is independent from the rooms and bathroom with hot water. 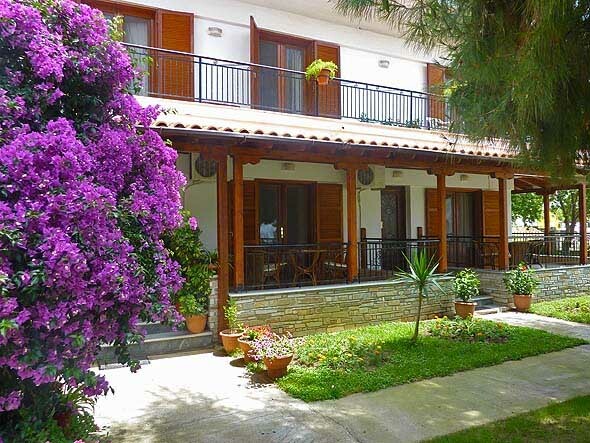 Hatzis house has a large garden full of flowers, suitable for children play or relaxing under the shadow of an old pine tree. 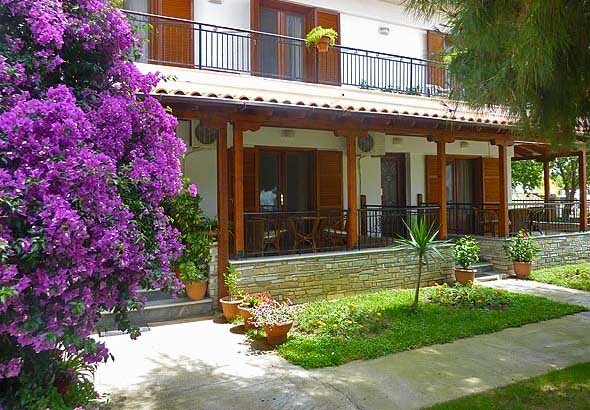 Standard apartment facilities include TV, air condition, full kitchen equipment, parking space and wireless Internet access.